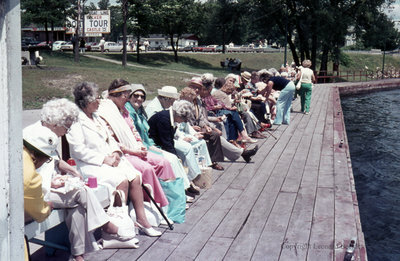 A colour slide of passengers sitting waiting for the Thousand Island boat tour. Passengers for the Thousand Islands Boat Tour, June 1976, Leonard Beckley. Whitby Archives A2014_004_021.